Flavius Iulius Nepos Augustus was Western Roman Emperor de facto from 474 to 475 and de jure until 480. 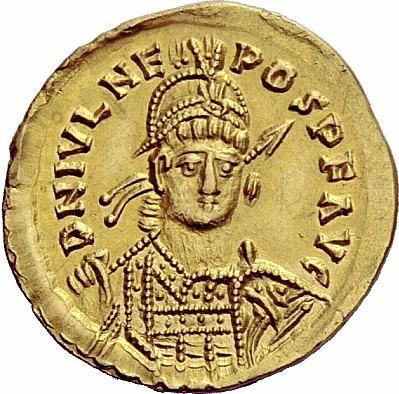 Nepos was elevated to Western Roman Emperor in 474 by the Eastern Roman Emperor Leo I in order to replace the usurper Glycerius. Nepos was deposed in 475 by Orestes, who took control of the government at Ravenna on August 28, 475, forcing Nepos to flee by ship to Dalmatia. Orestes crowned his son, Romulus Augustulus, as Emperor but they were soon deposed by Odoacer. Some historians consider Nepos to be the last Western Roman Emperor, while others consider the western line to have ended with Romulus Augustulus.